A & S Play Zone offers professional stage rental in Cincinnati and Dayton Ohio that will allow you to have a stage of virtually any shape and size. 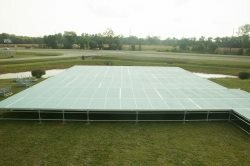 Each stage deck can be connected to another deck to make a small, medium, or large stage, runway stage, or platform. Each can be used indoors or outdoors. We offer deliver, setup, and pickup. 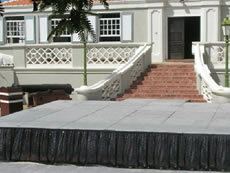 Our stages are perfect for Bands, Runways, Catwalks, Speaking Engagements, Award Ceremonies, Schools, and more. 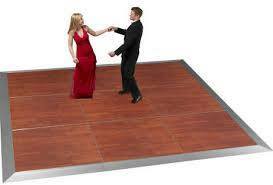 The staging is made of 4′ x 4′ carpet covered platforms and each section can hold over 2900 pounds. 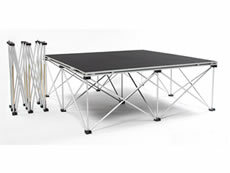 You can also pick up one of our stage rental sections if you just need something small. For larger events we suggest letting our experienced staff at A and S playzone set up your stage rental for you. 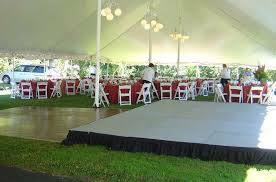 Our stage rentals are great for any event such as a church festival, easter service, after prom,company picnic, or for a band. Don’t forget that A and S Play Zone also rents PA Speakers if you need to make sure the crowd can hear you. Please give one of our event specialists at A and S Play Zone a call today and let us help you plan that next big event.